The Westin Dawn Beach Resort & Spa, St. Maarten, is taking this whole health and wellness trend seriously. It introduced its Heavenly bed and implemented healthy SuperFoodsRx meals. It’s committed to smoke-free environments. And it’s even incorporating mood-lifting botanicals in public spaces. Now, the resort has extended the wellness concept to the planet by completing a solar installation that allows the resort to produce six to eight hours of its own power during peak times. 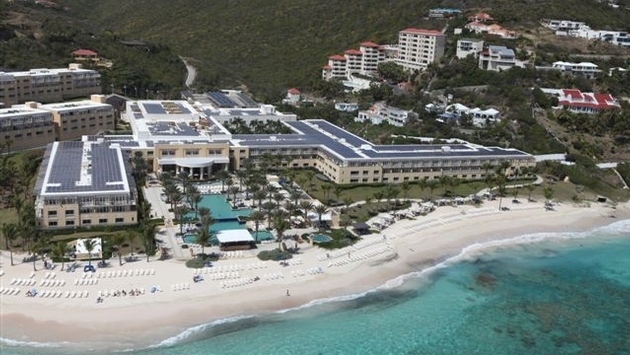 The Westin Dawn Beach Resort & Spa is not only the first Westin hotel or resort in the world to complete and utilize solar panels to replace its energy usage, but it’s also the only major resort in the Caribbean to do so. 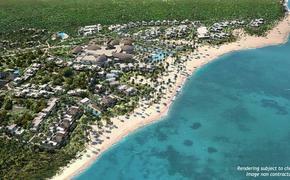 The resort began taking advantage of the island’s abundance of sunshine in 2007 with the installation of solar panels to heat the water used in the property’s guest rooms. The resort’s owner, Columbia Sussex Corporation, working with OneWorld Sustainable, has since completed the installation of 2,602 Lightway solar panels for a total system capacity of 755 kilowatts. The completed solar system will produce approximately 1,223,000 Kilowatt hours per year. This is enough electricity to power 111 average-sized American homes. The system will avoid 1.9 million pounds of carbon dioxide emissions, or the equivalent of CO2 emissions from energy used by 43 homes annually, or 707 acres of forest preserved from deforestation by carbon sequestering. To install the panels and mounting hardware, OneWorld Sustainable worked with a local St. Maarten company whose employees provided valuable assistance during the three-month-long project. Dan Szydlowski, Regional Director, added, “With sunshine nearly guaranteed year round, we saw only positive attributes to making this capital and environmental sustainability investment.